GM Lighting LEDTASK™ Flexible linear LED light ribbon delivers 2493-Lumens of warm white light at just 36-Watts. It has a color temperature of 2700K and CRI of 80 for uniform color consistency. The lamp lasts up to 50000 hours. It has a voltage rating of 24-Volts DC and current rating of 1.5-Amps/reel. 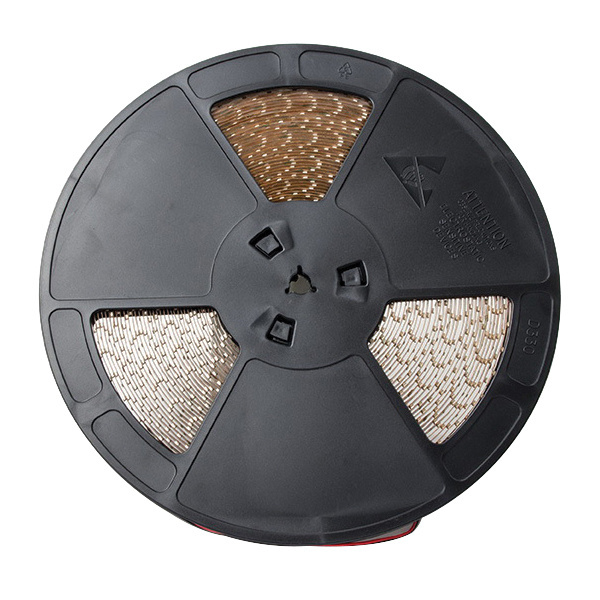 This high output, LED light ribbon features 300 LED's per reel and is affixed with 24-Inch lead. It mounts into tight spaces and includes 3 Additional STW-24S. It is ideal for cove lighting, architectural detail illumination, theme lighting and accent lighting. LED light ribbon is cETLus listed.